“After the facelift, I feel more confident. Younger guys are looking at me more. I’m more excited about the way I look and it has made me feel a lot better. A lot of people don’t know what I had done. They just tell me I look great.” —S.K. Feel more confident and stop hiding your neck and jowls. 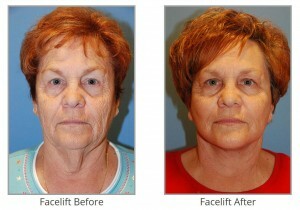 You can improve your looks dramatically with a facelift necklift. 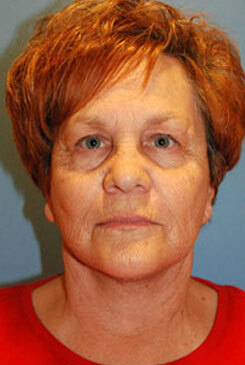 This is a safe procedure and we have done over 1300 face neck lifts over the past 12 years. Dr. Philip Young is a triple board certified facial plastic surgeon, researcher, beauty theorist who has published numerous peer reviewed articles, and chapters in major plastic surgery textbooks. 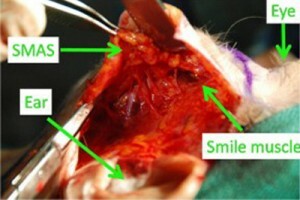 In general what this explains is that for you face you should first consider the YoungVitalizer which is less invasive. Even before this you can consider fillers with the knowledge that the fillers last 6 months to a year at most. After doing less invasive procedures you can move on to more traditional procedures if needed. If jowls are your main issue a facelift would be ideal. If the neck is your concern, a necklift would be the best option. What the page will go into is also the idea is bringing more light back to the face. We talk about the aging process on this page and how the changing of the grape to a raisin makes the tissues draw or move inward and downward. This movement effectively causes a shadow to be cast over the face by the structures above them. For example the brows start to cover the upper eyelid. For the lower eyelids, the eyes and brows start to cover the lower eyelids and cheeks. 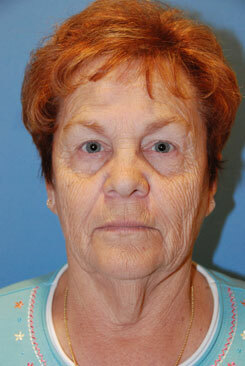 For the nasolabial folds, it is the cheeks that start to cover the folds and make them look deeper. For the marionette lines, the lower cheek and mouth help to create more shadowing in the marionette area, etc, etc. You can read more by visiting our website www.drphilipyoung.com. Face and Neck Lift and what are they best used for? 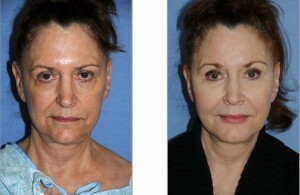 We tend to suggest Face lifts for jowls | marionette lines and less so for nasolabial folds. 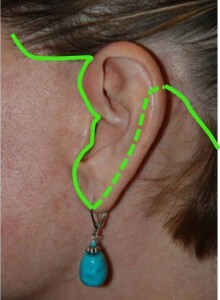 Neck lifts are used for the neck banding | turkey gobbler | neck laxity and double chin in this area. For everything else we tend to suggest the YoungVitalizer which is our incision less approach to rejuvenate the face. Browlifts are rarely done even though we have a lot of experience doing this procedure. If you look at this discussion, you can see why browlifts may not be the best option for rejuvenating the face: How the YoungVitalizer helps with the Brow | Temple | Forehead Area. By shaping the forehead and temple area, you can subtly lift the eyebrows into a better position in a more natural way. Our incision less approach can help you with your neck a little bit but if you really want your neck bands, turkey gobbler, neck laxity, and double chin improved a neck lift is the better choice. What is the recovery from a neck lift face lift? The first week is the most challenging part. You will have most of your discomfort during this week. We usually say that you will need a week to recover. The sutures are removed at 6-7 days and many times we will have drains in place to help speed up your healing and we usually take this out 3-5 days later. We keep really close follow up with our patients. In fact, most of the time, our doctors will give you their cell phone to allow you to contact us at anytime. Dr. Young likes you to send in photos of your healing every day. 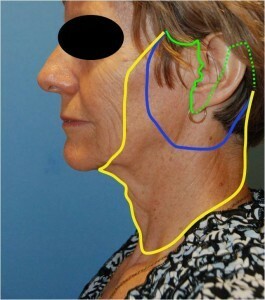 This way, Dr. Young can monitor you more closely..
Where are the incisions for a face and neck lift? 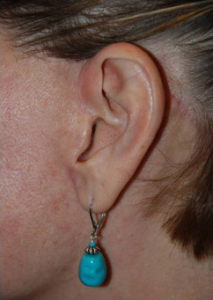 The incisions usually run in front and behind the ear. 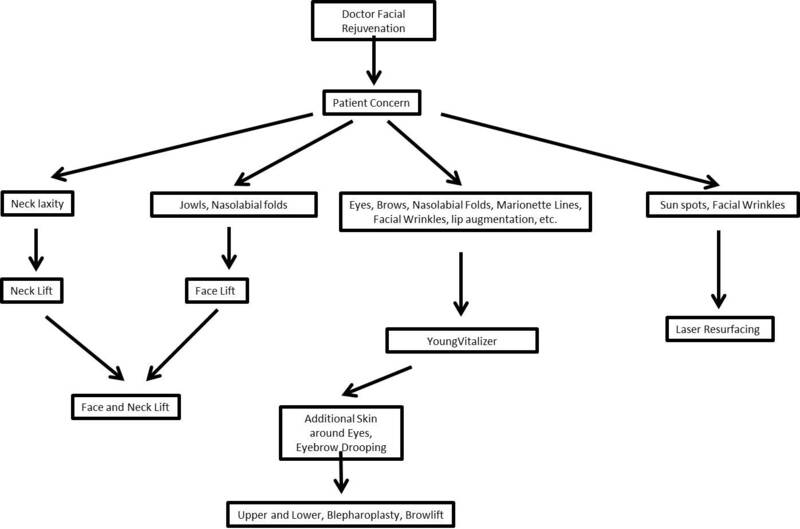 You can click here to Learn More about Face Lifts (Explanation and Options). 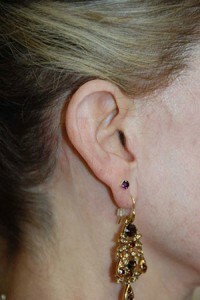 Depending on what you would like improved, the incision can vary in length and shape. 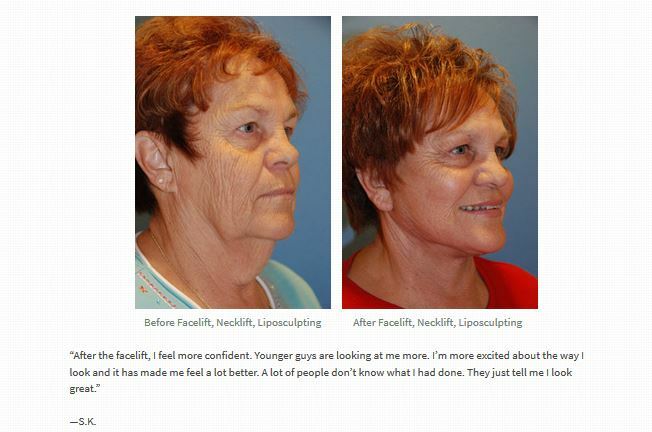 You can read more about Face Neck Lifts by following this link.